From the middle of November to the first of December, JICA GEM-CC Project office has carried out a photo contest that has targeted every one that works at the GEM-CC. 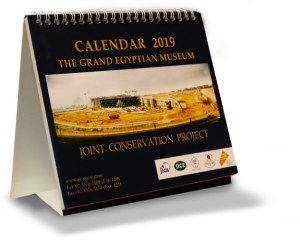 The goal of this contest was to unite the minds of those who work at the GEM-CC and choosing photos that will be used in JICA-GEMCC next year calendar that is planned to be produced as a form of project activity in order to introduce the project to as many people as possible. 50 photos were applied to the contest, and more than 225 votes were collected. 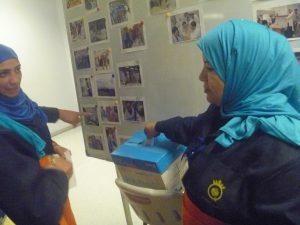 Not only did people working in GEM-CC laboratories participate in the contest, but also cleaning ladies and drivers did as well, which indicates that GEM-CC staff has been united through this contest. Photos chosen in this contest and other photos showing GEM-CC activities will be used in 2016 calendar which is planned to be distributed to GEM-CC staff members and their families, Ministry of Antiquities, Ministry of Tourism, embassies, international organizations, Japanese Commerce and Industry Association, Egyptian economic organizations, etc.. Those who can’t get the calendar will be able to easily download it through our website.